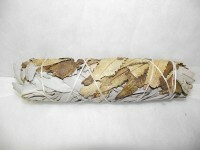 Medium White Sage and Yerba Santa Smudge Stick High grade sacred Native smudging and healing sage.. 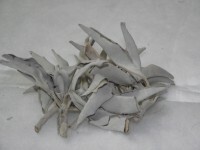 Loose California White Sage Sage has been used for the removal of spirits, negative energies, to ..
Cedar: A traditional Native smudge that brings both cleansing and healing. 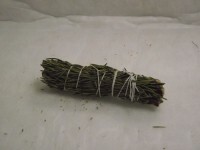 Cedar is an herb of purif..
A bundled smudge stick of Lavender mini about 8" Lavender: An all purpose healing herb, gently cl..
A bundled smudge stick of Lavender mini about 4" Lavender: An all purpose healing herb, gently cl.. 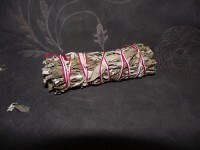 This is a powerful Black Sage. 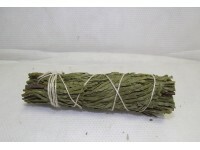 This is for 1 Mugwort Sage Stick, about 8 inches. Mugwort is a med.. This is a powerful Black Sage. 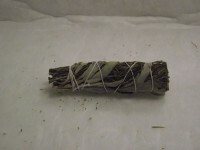 This is for 1 Mugwort Sage Stick, about 3 to 4 inches. 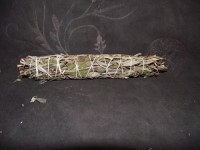 Mugwort is ..
Rosemary Elf Leaf Stick High grade Rosemary smudging bundle. This is naturally grown. This is f.. 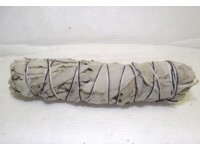 This is for a single 9 to 10 inch bundle wand which is a perfect to take on the go and may be used o..
High grade sacred feather Native smudging sage bundle. 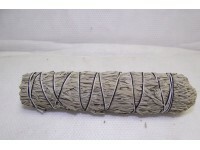 This is a white sage, copal, lavender, jun..
High grade sacred Native smudging sage large bundle. 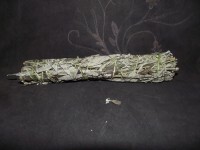 This is a white sage, sweet grass, copal, lave..
High grade Blue Mountain smudging sage 4-5 inch stick This Sage has aroma to cleanse negativity, ha..
Sage White Smudge and Rosemary Elf Leaf Stick High grade White Sage and Rosem..
High grade sacred Native smudging sage stick. 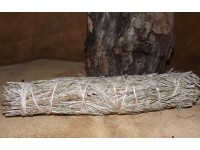 This is a California White Sage Smudge Stick. This i..